A quick thank you. (Caregiver’s name) is a keeper. Her professionalism is refreshing and impressive. Her few minutes delay in signing in today was due to my phone issues (since resolved, contingencies in place) Thanks again, she really knows her stuff and I feel very physically safe with her. Stay cool. Although we used your service for such a short time, I want to thank you both. Lorna, I spoke to you after speaking to another company and was so worried my needs for one hour of help twice a day would not work with your business. You made me feel that it would all work out. I enjoyed meeting John. You both made me feel confident in my choice. (Caregiver’s name) was hired to help my Dad. She could not have been more perfect for the job. She was a professional, and we knew right away that she had experience and was right for the job. My brother, son, sister and I found her warm, responsive and a real trooper. Her first day was the day my Dad had hit some real pain and actually revealed it. She helped us realize that we needed to tell him what we needed to do and then give him some time to digest it. ” (Caregiver’s name) is the most wonderful caregiver, it’s like she’s part of the family. We feel blessed to have such a caring person assisting mom”. “We had several bad experiences with other caregivers, so we were very apprehensive, but the caregivers Covenant Home Care has sent us have been wonderful. They are very attentive to our parents and are DEPENDABLE, which allows us to not worry”. “Mom has lived alone for over 10 years and we didn’t think she would accept any help, now we can’t reach her by phone half the time because she and (Caregiver’s name) are out taking craft classes or working in the garden”. “John – I can not tell you how much help and comfort (Caregiver’s name) was to us. She was an angel from the other side of the earth sent to care for our dad”. “I am writing to thank you for our association during the past five years. You have always been responsive, compassionate and a true gentleman at all times. Thank you for helping our whole family through a stressful five years. As you know my husband was very special to all of us and we are grateful for your help”. John, just so you know…you couldn’t have picked a better person to provide care for Aunt E than J., at this critical time in our lives. With the impending move coming, she was incredibly supportive of getting Aunt E. to appointments, running errands with her, and helping to step her through the sorting process of the belongings she needed to bring with her to her new apartment…Aunt E. can be quite a force of nature at times, and J. had a way of meeting her where she was, respectfully, and then making her laugh and lighten up. PERFECT. She kept me informed at every critical juncture, shared photos and emails with me so that I had all of the information that I needed to get multiple tasks accomplished on my end, and kept things moving. She even provided me with some great coaching regarding how to best help Aunt E. settle into her new surroundings – things to do and to consider as we settled her into her new space. I found this guidance on planning to be extremely helpful, and I believe it’s helped us to minimize our collective stress. 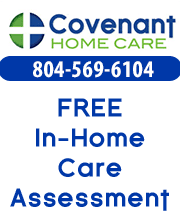 Covenant Home Care came to the rescue when we needed a compassionate provider to step in within a short period of time….and I truly appreciated your taking your personal time on a Sunday, away from your son’s game, to come and meet with us and provide us with an overview of your services. We were so fortunate to have you and your team there for us. Thank you!!! 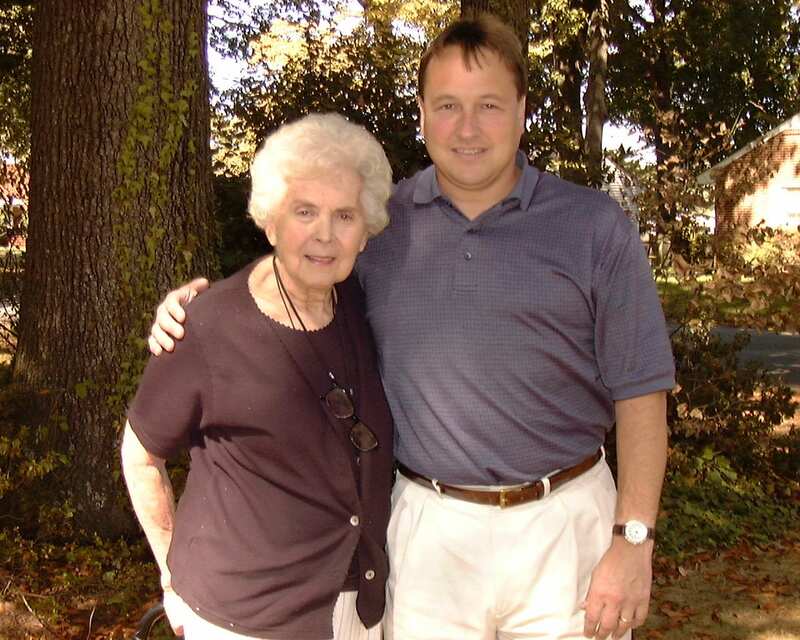 John Swierczewski(President) with one of our clients.